Apple has released an update to Garageband for Mac, version 6.02, that improves overall stability and addresses a number of minor issues. Though Apple isn’t hyping this update, it’ could be an important one for Mac-based iPad users. 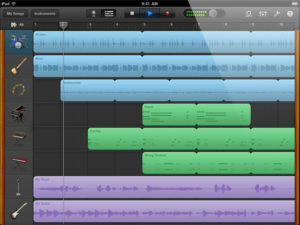 The release brings support for opening projects imported from GarageBand for iPad – so you can start a recording on an iPad and bring it over to a Mac for further work in GarageBand or even Logic. The workflow is currently one-way from iPad to Mac.